I’ve known Nöel for a couple of years. We both worked together at the University of Arizona tutoring center as we pursued our graduate degrees (higher education for Nöel, school psychology for me). I remember first liking Nöel because we often had the same criticisms of this Malcom Gladwell book we had a weekly discussion on (part of our job requirement was an assigned book reading. I have no idea why so don’t ask). I remember thinking, “Hey, she thinks like me!” You know what they say about great minds. So, when she asked me to film her wedding I said heck yes. The reception was at the Tucson Museum of Modern Art (MOCA), which was also the venue for Rebecca & Frank’s wedding (click here to see their film). The place is awesome, although I got yelled at by one of the museum employees. I was engrossed in filming things when I leaned up against a wall to steady my shot. At least I thought it was a wall. Turns out it was a giant piece of art. The lady ran over to scorn and remind me that no touching was allowed. I was deathly embarrassed and apologized. 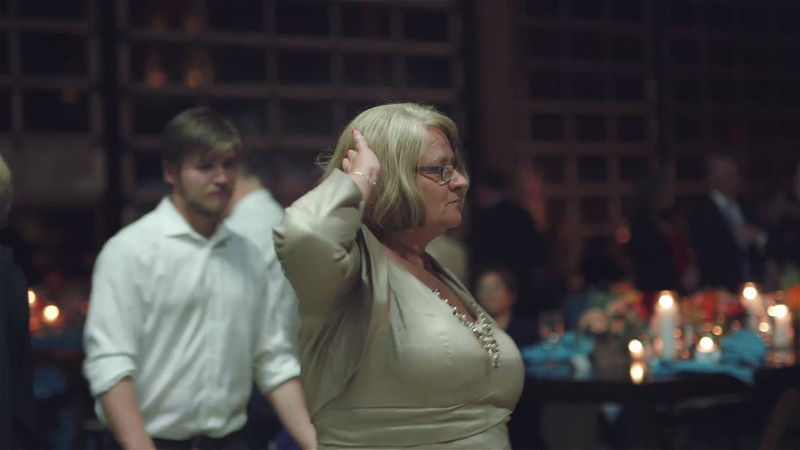 I want to conclude with a shout-out to Nöel’s mom, Diane, for being awesome. She was so fun to chat and laugh with throughout the day. Here’s a fun fact: She has a major crush on Mick Jagger. I couldn’t help but to immortalize her forever by posting the video below on her Facebook wall. She's a good sport so I think she’ll forgive me, in time.